Oldenburger|Fritom may from now on display the Royal Coat of Arms, including the phrase "By Appointment to The Court of The Netherlands". 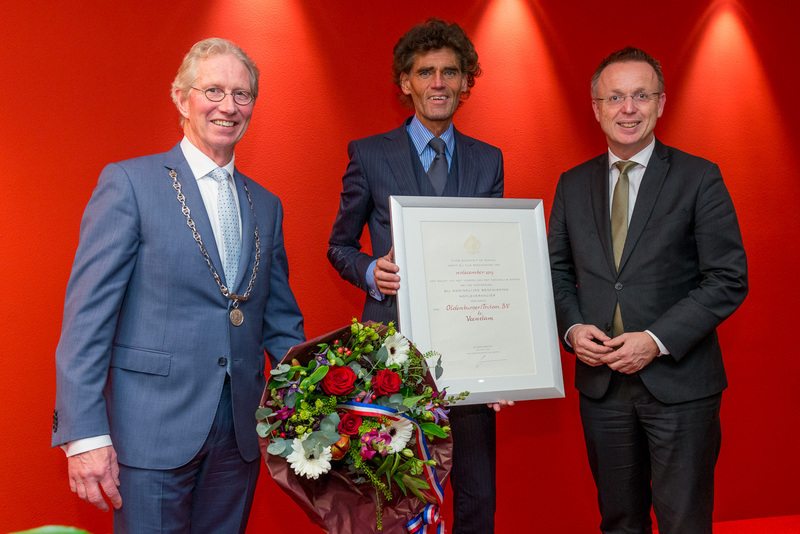 This honorary title was awarded last Friday by the King's Commissioner, René Paas, in the culture and congress center of vanBeresteyn in Veendam. In a special announcement that was shrouded in secrecy, among others employees of Oldenburger|Fritom were invited to come to vanBeresteyn on the 12th of January. Subsequently, there were a lot of rumors going around about what would happen. The laudatory speech of the Commissioner ended all speculation. 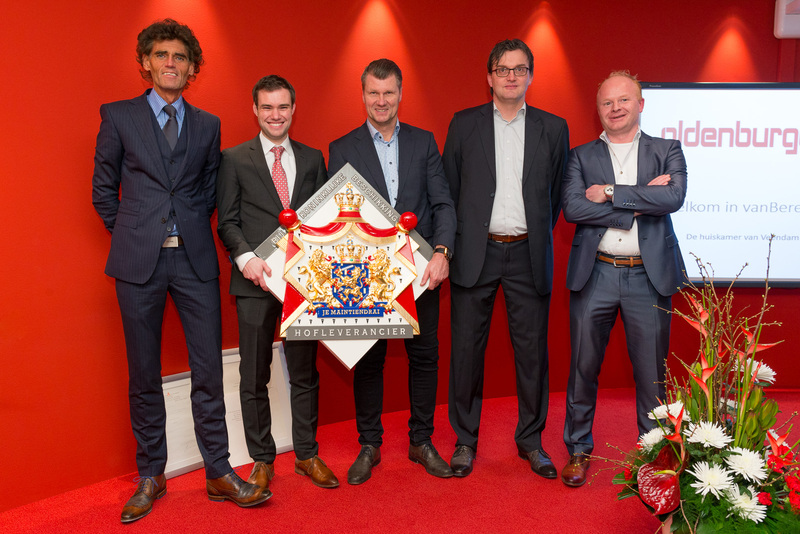 On behalf of His Majesty the King he handed over the Royal Warrant of Appointment to René Dale, CEO of Oldenburger|Fritom. who have a good reputation regionally. They need not actually supply goods to the court. Interested in learning more about our services and solutions? Do you have a question, suggestion or logistic challenge for us? Please contact us without any obligation: we are happy to help you! Copyright © 2018 Oldenburger|Fritom, all rights reserved. You received this email because you are a relation of Oldenburger|Fritom. If you’re not interested in receiving our newsletter, you can unsubscribe here.